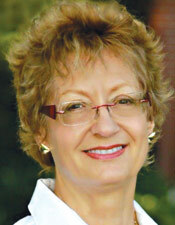 Dr. Williams-Turk graduated from University of Colorado School of Dentistry in 1990. She completed a general practice residency at the Denver General Hospital, Colorado and Sepulveda VA Hospital, Sepulveda, California. She opened a satellite dental clinic for the VA in Bakersfield. Dr. Williams-Turk has been practicing general and implant restorative dentistry since 1994 in Southern California. She is on the Institute for Dental Implant Awareness Advisory Board.